This new website captures and reiterates my message as President since the election of the WCCES new leadership on August 23, 2016, in Beijing, with a diverse and dynamic Bureau and renewed positive energies across the Council. These goals are actualized through the Congress held every three years and activities of nine standing committees (Admissions & New Societies, Congress, Constitutional, Finance, Professional Ethics, Publications, Research, Special Projects, and UNESCO Liaison), three task forces (Election, Journal/Newsletter, and Peace Education) and the History Team, and the ongoing work of the Executive Committee and the Bureau. My vision is shaped by my approach of the cumulative process of building on past achievements, learning lessons to resolve outstanding issues, and identifying new needs to make productive contributions. WCCES is well positioned to contribute to the societal mission of education in the global context by taking the challenges of a multipolar world and acknowledging the changing world with increased amplification of voices from the Global South and hitherto marginalized groups of the Global North. Under my leadership as President-elect of one of the WCCES constituent societies and founding member, CIES (Comparative and International Education Society, USA), the theme “Ubuntu! Imagining a Humanist Education Globally” was the focus of its 2015 annual conference. This theme reflects my passionate search for contributing to promote the concrete recognition and realization of our common humanity. These are important dimensions in upholding and actualizing the aforementioned goals of the WCCES. Furthermore, comparative education provides the intellectual template for promoting paradigms and world epistemologies for learning and production of knowledge for social transformation. Deliberate efforts are being made to pursue and enhance participation of constituent societies and their respective members, taking into account diverse grounds of identity for consistent inclusiveness, as reflected in the composition of the co-opted members, the leadership and membership of the standing committees, task forces, and the History Team. In this context, besides various messages to the WCCES Executive Committee and other members of constituent societies, within the first four months following the election of the officers, I have endeavored to pursue discussions, with individuals or groups, that have proven very enriching. To provide intellectual platforms that can promote the collaboration among the WCCES community between congresses, in this period between the 2016 Beijing and 2019 Cancún Congresses, I have set up a new task force called the Journal and Chronicle Task Force (JCTF). The mandate of this task force is to create two new peer-reviewed scholarly publications viz. 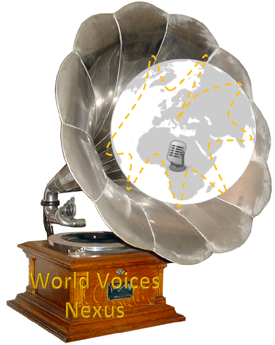 Global Comparative Education: Journal of the WCCES, which will include full-length peer-reviewed articles and World Voices Nexus: The WCCES Chronicle, which will publish relatively short (2500-3000 words) but peer-reviewed articles. Both the journal and the chronicle will have contributions in all the six languages of the United Nations: Arabic, Chinese, English, French, Russian, and Spanish. This new project is certainly ambitious and yet has generated considerable enthusiasm and excitement. Historical records and facts about the evolution of the WCCES indicate that despite the shared expression of the need for such a global organization which is a federation of societies from across the globe, the structure and old contradictions of the world are also reflected in activities and sporadic and recurrent issues. With mutual respect, good will, commitment to team spirit and positive use of our respective capabilities toward constructive contributions through collaboration, we work toward the goals of WCCES by emulating and advancing the values of Ubuntu, recognizing our interdependence and the need for promoting equality, peace, compassion and solidarity locally and in the global world. As we continue to take the Council forward to newer heights with a renewed sense of community and consolidation, we count on your continued contributions, good wishes, and engagement. Please feel free to contact us anytime with your questions, suggestions, and new ideas of collaboration/constructive participation.